The United Kingdom has asked the Federal Government to clarify the status and whereabouts of the leader of the Indigenous People of Biafra, Nnamdi Kanu. The British government said it had asked the government if the British national was alive or dead. However, it could not be immediately ascertained if the Federal Government had responded to the inquiries or not. The Press Officer, UK high commission in Nigeria, Joe Abuku, stated that the inquiry followed reports that Kanu had been missing since September 14, 2017 when armed soldiers stormed his residence in Abia State. Abuku said this in response to questions from Saturday PUNCH seeking to know UK’s concern on the missing IPOB leader. “We are seeking urgent clarification from the Nigerian authorities about the status and whereabouts of Mr. Kanu, a British-Nigerian man, who has been reported missing since September 14,” Abuku stated in an email on Thursday. Asked if the UK would strip Kanu of citizenship on account of the declaration by Nigeria that he was leading a terrorist organisation, the mission said it does not comment on individual cases. “One of the conditions that can make the United Kingdom strip its citizen of nationality is if the person engages in a terrorist activity at home or abroad. And Kanu has dual citizenship and therefore a citizen of Nigeria and the UK,” the mission stated. When asked if the UK supported the Nigerian government’s proscription of the IPOB, Abuku stated that the group was not a proscribed organisation under the British law. 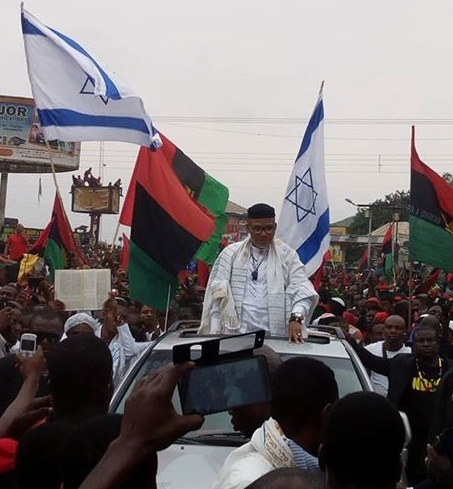 “The Indigenous People of Biafra is not a proscribed organisation in the UK,” the mission spokesperson stressed. However, when asked if the group was free to raise funds or hold rallies in Britain, Abuku said he would need to get an official response on that, but subsequently declined to respond to the question. He also declined comment on whether the IPOB might be designated as a terrorist group or proscribed by the British authorities. 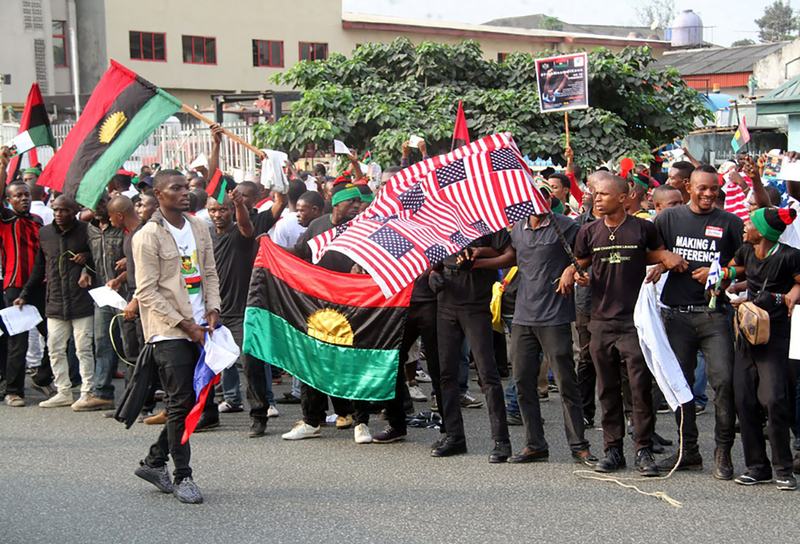 The United States had earlier said it did not consider IPOB a terrorist group and urged Nigerians to de-escalate tension and embrace peaceful resolution of grievances. ONLY THOSE WITH DIRTY-RUNNING STOMACH BECAUSE OF HATRED, BITTERNESS -BLINDN ESS, MISCREANT /EFULEFUS, ENEMIES OF GOD, ENVIOUS , LONGER-THROAT(BECAUSE OF HUNGER IN THE LAND),OIL WELLS, CURSED, REPROBATES,SELFISH,HYPOCRITES, SELF-DELUDED, MISINFORMED, EVIL-RELIGIOUS-BIGOTS /PARASITES WOULD TAGGED IPOB (BIAFRANS) TERRORIST & WOULD NOT SUPPORT NON - VIOLENT & PEACEFUL BIAFRA SOVEREIGNTY. BECAUSE BIAFRA NATION STANDS ON TRUTH, FREEDOM & JUSTICE . BIAFRA IS BLESSED BY THE MOST HIGH GOD, NO MATTER WHAT, & SHALL NOT BE CURSED. AND GOD WILL SURELY GIVE US BIAFRA STATE BELIEVE IT OR NOT, LIKE IT OR NOT, IT DOES N'T MATTER!. AND BIAFRA SHALL BE BETTER THAN THIS MURDEROUS CABAL OCCUPATION CALLED NIGERIA !. I REST MY CASE !